Stay INN the know from all things Greenville to Traveler’s Rest and beyond covering everything from business, revitalization, cycling, and local Greenville. With the new year finally here, the time to start planning those upcoming vacations is now. 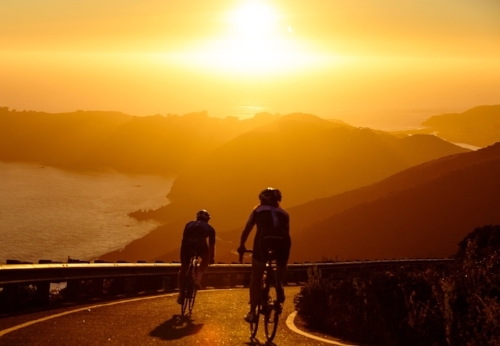 With your new cycling gear and bikes ready to be put to use, there’s no better time than now to start organizing the best cycling vacation ever. If Spain is on your bucket list than Andalucia is where you need to go. Trek Travel offers one heck of a cycling trip that places you amongst limestone peaks, vast rolling hills and historic sites. Along with daily rides, you’ll enjoy stops at local wineries, an authentic flamenco performance, a walking tour of the city Ronda and much more. This trip is 6 days and 5 nights, and is recommended for riders who ride on a weekly basis. Non-riders are welcome. Eager to explore a new county? Why not make it three? 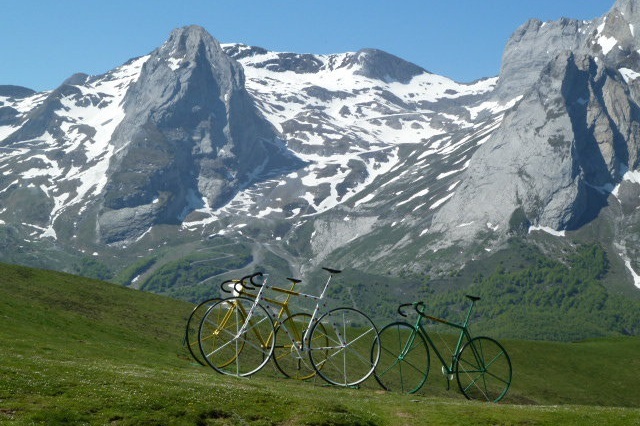 Head to Central Europe for a cycling trip of a lifetime put on by VBT. Explore castle towns, forrest terrains and idyllic villages on two wheels in Czech Republic, Germany and Austria. Ride from country to country and experience everything from Bavarian beer gardens, riverside picnics, and rich historic scenery. This trip is ideal for beginner cyclists with daily rides averaging anywhere from 15 - 45 miles. Two packages are offered with this trip, either 7 days, or 10 days with additional stays in Prague and Vienna. If you’re interested in a private cycling tour - your selected group along with a customized itinerary fit to your interests - Butterfield & Robinson’s trip to Budapest & Tokaj is sure to fit the bill. Enjoy the best of both worlds. Eye-catching architecture and the blue depths of the Danube in the city of Budapest to local vineyards and quaint villages in the countryside of Tokaj. This trip is perfect for riders who ride at least once a week, and is for 6 days and 5 nights. 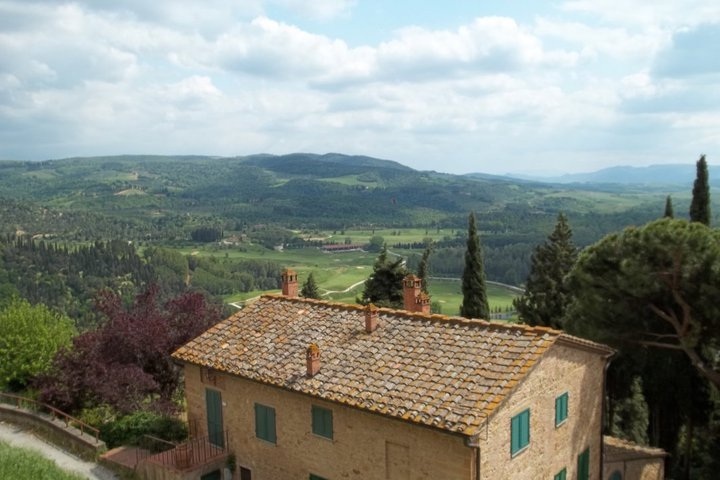 Trek Travel offers a few trips to Tuscany - all incredible - but if you’re looking to really treat yourself than we recommend their Tuscany Luxury trip. Ride and reside in style in divine Tuscany with luxury accommodations and top-of-the-line cuisine. On top of riding through idyllic Tuscan landscapes, enjoy the hospitality of the Mascheroni Stianti family at their private Castello di Volpaia estate, meals at Michelin-starred restaurants, private cooking classes, wine tastings, and much more. This trip is 6 days and 5 nights, and is recommended for riders who ride on a weekly basis. Non-riders are welcome. An epic journey awaits you in the Canadian Rockies on Backroads’ bike tour from Banff to Jasper. This trip is perfect for those looking for unparalleled mountain scenery and crystal blue waters. Ride through Icefields Parkway, encounter magnificent wildlife, enjoy private tours of museums and historic sites, wine tastings, kayaking, and more. Riders ranging from easygoing to avid levels are welcome to sign up for this trip lasting 6 days and 5 nights. 7 - 10 days riding along the coasts of The Dalmatian Islands. It doesn’t get much better than that! VBT offers a spectacular cycling vacation that provides guests with breathtaking views and an authentic look into Croatian life. Dine with locals in their homes, learn key phrases from a Croatian language lesson, take part in a cooking demonstration, and enjoy exquisite Croatian wine. 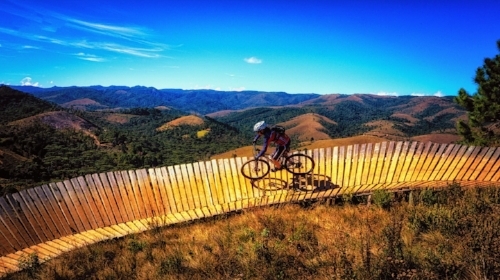 Riders can expect rides through rolling terrain and over challenging hills. This trip is ideal for eager beginners to experienced riders with daily rides averaging anywhere from 13 - 35 miles. Two packages are offered with this trip, either 7 days, or 10 days with additional stays in Dubrovnik and Split. If you only have the time for a short getaway, we recommend Trek Travel’s California Wine Country Long Weekend trip. Escape to Sonoma for a few days for scenic back roads, sunshine and lots of wine. Ride through Sonoma County’s three big three appellations: Russian River, Dry Creek, and Alexander Valley. Rest-up in luxurious countryside accommodations and savor local cuisines and wine aplenty. This trip is 4 days and 3 nights, and is recommended for riders looking for recreational riding. Non-riders are welcome. Pedal your way around the world this year. Travel with family and friends, or perhaps go solo and meet new people along the way. If you have any cycling vacation suggestions, we’d love to hear about them in the comments section below. Happy traveling! Are you looking to change your life in a seemingly minimal way, but with major health benefits? Have you considered cycling? If you already live an active lifestyle and are looking to change up your current routine, cycling could be the activity for you. Even if you’re just beginning to look for ways to ease into an active lifestyle, cycling is something that can easily be incorporated into your day-to-day. There are many health benefits to cycling and today, we’re highlighting the five we feel scream "reason enough” for you to jump on the cycling bandwagon. It doesn’t matter what age you are, high-impact exercises can affect anyone at any time with risk of injury. Maybe you’ve been a runner all your life or you’ve just begun taking dance classes; next thing you know, you’ve developed arthritis in your joints or you have a stress fracture in your foot. Low-impact exercises—like cycling—are great, because they take away the weight bearing down on your joints and muscles. Cycling can still give you that heart-pounding high, while allowing you to push as little or as much as you need to. Studies have shown for years that physical activity helps to relieve stress, anxiety, depression, and simply improve overall mental health. You know the feeling…when you've pushed yourself to the point of exertion only to feel—moments later— an overall sense of elation. Do you want to experience that everyday? Jump on a bicycle. Even cycling for a mere 30 minutes can greatly improve your subjective mood. No one is saying you have to cycle like a pro to reap the health benefits of one. You don’t have to sign up for cycling races or follow the same trails your neighborhood cycling club does if you don’t want to. Maybe you’re in a position where you can cycle to work. Not only is that a great way to ensure cycling becomes a part of your daily routine, think of how much you’ll be saving on gas and parking—score! Work isn’t the only reason you leave the house, right? Run errands by bike. You’d be surprised how much a installed bike rack can support. If sitting in the school carpool line is of little interest to you, cycle with your kids to and from school. Find ways to incorporate cycling into your life that suit your lifestyle. Just as cycling can improve your subjective mood, it can also improve your cognitive capabilities. A study from the University of Illinois showed that walking or cycling regularly can improve memory, attention, and problem solving skills. “While we know that [cycling] can have positive effects on cardiovascular disease and diabetes, we have found it can bring about improvements in cognition, brain function, and brain structure,” said lead researcher, Dr. Art Kramer. Sadly, cycling isn’t a curer of disease, however, it can most certainly help protect you from developing serious ones. Cycling is a great aerobic activity for controlling or reducing weight to protect you from obesity. Cardiovascular diseases such as stroke, cardiac arrest, high blood pressure, and coronary artery disease can be prevented by cycling daily. 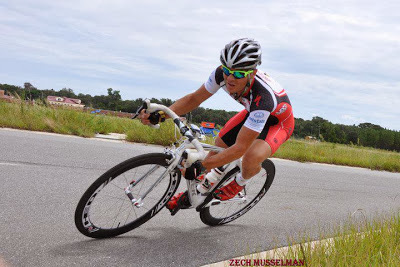 With cycling being a low-impact activity, chances of bone injuries and arthritis are greatly reduced. Don’t wait. Make the change to incorporate cycling into your daily routine today. Please share in the comments section below other health benefits to cycling. 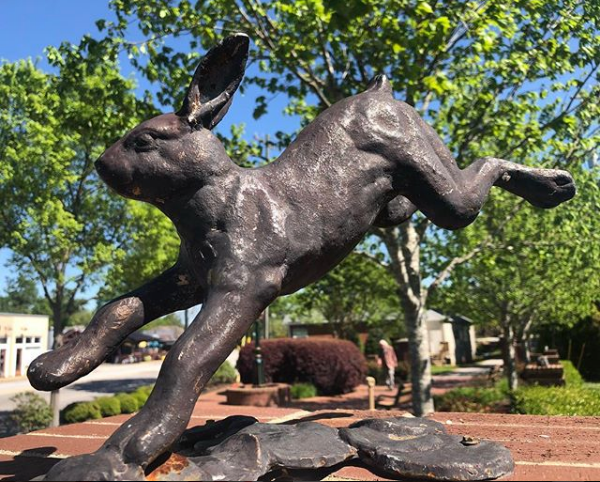 Whether you’re a tourist in town for a few days or a local looking for a great way to spend the day outside, a day on the Swamp Rabbit Trail is the way to go. Greenville, SC, known for it’s cycling-friendly community, is home to one of the country’s top rail-to-trail paths: The Swamp Rabbit Trail. This paved 22-mile trail opened in 2009 and connects the cities of Greenville and Travelers Rest. Trailgoers are exposed to a multitude of sights along the way from stunning forestry to curious critters to local art installations. Numerous restaurants, breweries, boutiques and picnic areas are also positioned mer feet away and make for ideal pit-stops. Have we convinced you yet? Great! Check out our breakdown of stops to make along the Swamp Rabbit Trail. It doesn’t matter if they’re first thing in the morning or late in the afternoon, coffee breaks are meant to be enjoyed at any point of the day. The food scenes in both Greenville and Travelers Rest are to die for. Fortunately, many delicious eateries sit on or in close proximity to the trail. As you make your way down the trail, be sure to stop and take in the stunning scenery. Don’t be surprised if a few curious critters grace you with their presence. You can’t go wrong with a few cold brew - or cocktail - stops along the way. You won’t find these shops anywhere else, so pop-in and see if you find any hidden treasures. Enjoy a variety of art installations, positioned along the trail, by local artists brought in to create a compelling public art collection. It doesn’t matter which end you start at. Enjoy any of these stops as you make your way up or down the trail. If you have any suggestions for stops along The Swamp Rabbit Trail that we didn’t mention, share with us in the comments section below! The holidays are here folks! If you’re looking for the perfect present to gift the cyclist you love - or add to your own list - then we’ve got the gift guide for you. Check out our slideshow below. Images are linked to purchase sites. 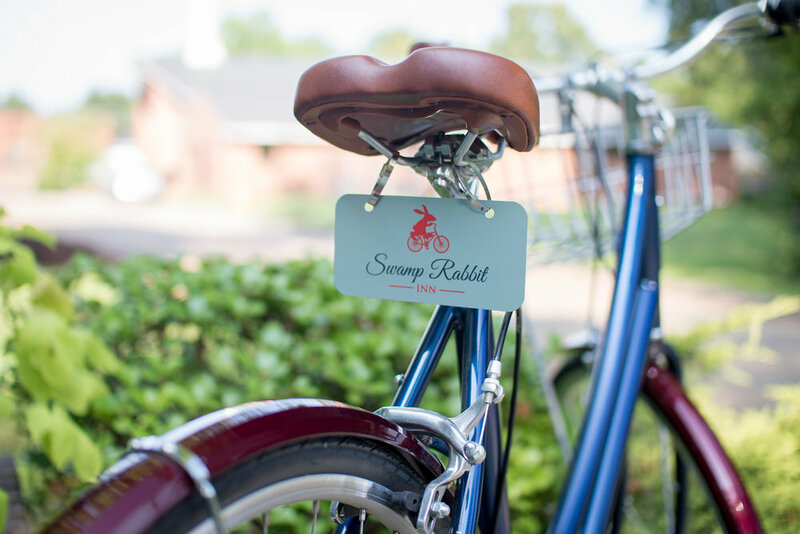 Gift the cyclist in your life a trip to Greenville, SC for a cycling vacation and stay at the most bike-friendly inn around, The Swamp Rabbit Inn, situated along the 22-mile Swamp Rabbit Trail. The perfect long sleeve jersey from Hincapie to fight the cold while on chilly winter rides. Nothing screams personalized gift quite like a custom Project One Trek bike. Choose the model, paint and parts that will bring their dream bike to life. Give the gift of coaching with the best of the best: Trimarni Coaching and Nutrition. Marni and Karl offer a variety of coaching services here in Greenville, SC to help any athlete reach their performance goals. Coffee is the way to any cyclists heart. Methodical Coffee in Greenville, SC offers a subscription service that delivers their coffee straight to your door as often as you’d like. Choose from four delicious packages. Handmade by artisans in Mosier, Oregon, this funky bottle opener is made of recycled bike parts that still had some life left in them. Perfect for the globetrotting, coffee loving cyclist. This hands-free cup holder sits between the handles of your suitcase and allows you to pull at almost angle without worrying about spills as it moves with you to keep the beverage upright. Made from reclaimed tube material and upcycled tent fabric, this insulating sleeve holds three cans, includes a shoulder strap and attaches seamlessly to your bike frame. Whether you’re out on a trail ride or participating in a race, you don’t always have the luxury of a private changing area. 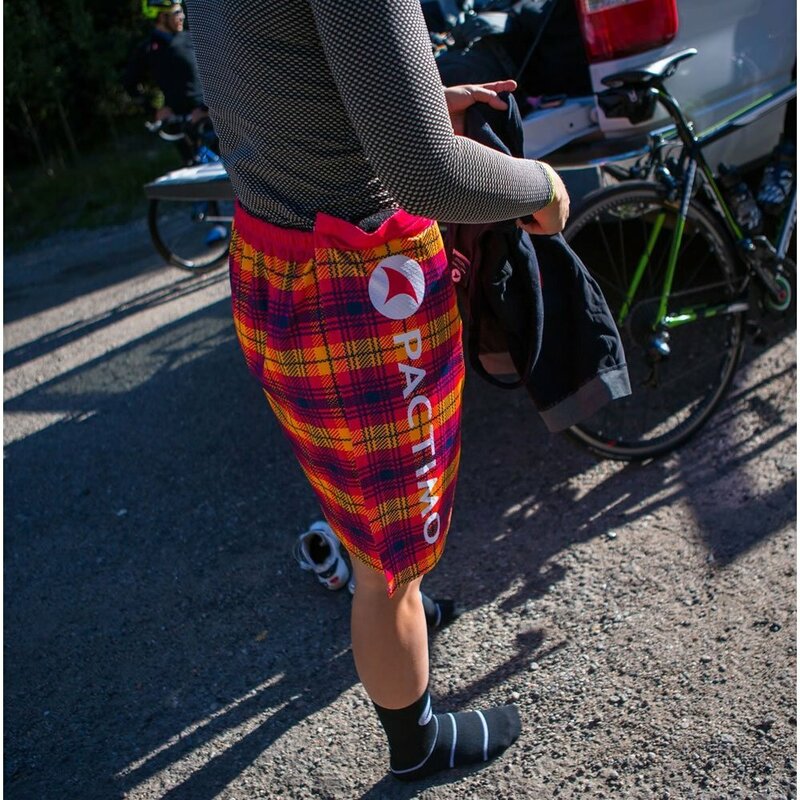 This changing kilt is designed to give you a bit of privacy when you need to change on while on the go. From the founders of Velominati.com, The Rules is the Bible of cycling etiquette. Enjoy this humorous take on over 90 rules of cycling do’s and dont’s. Keep the cyclists you love safe with their own Road iD. These custom ID wristbands are stylish, durable and useful in the event of an accident. Gift the cyclist in your life the best of the best in tail lights with the Bontrager Flare R. This is the first tail light designed for daylight visibility. You can’t go wrong with a stylish bike cap. Keep rain and shine out of your face, your helmet hair in check and simply look like a true cycling OG. Cycle in style with a pair of DeFeet’s Aireator socks; the gold standard of cycling socks. Affordable, durable, comfortable and available in a variety of cool designs. If you have any gift suggestions for cyclists, we’d love to hear them. Feel free to share in the comments section below. Happy shopping! Wendy chats with Blacksmith Artist Ryan Calloway of Creative Ironworks and Artistry Workshops & Gallery about how he got into metal work, living in New Orleans, and coming home to Greenville. When Calloway, his wife Amy and their son Miles decided to leave New Orleans, they originally had Asheville in mind, but Greenville won in the end. “Greenville was so hip and cool at the time, and we knew it was coming, so we decided to play some stakes here and it’s been really fun,” said Calloway. Calloway knew he wanted to change up his business; focus more on high-end work, interiors and art work. The Artistry Workshops & Gallery was founded in an effort to create and make metal parts, which made it a perfect place for Calloway to setup shop. Be sure to check out Calloway’s works around town and at upcoming events hosted by The Artistry Workshops & Gallery which you can find here. Why travel by bike you might ask when someone tells you this is how they plan to get around on their upcoming trip. If you’re not accustomed to cycling the thought of this might never have crossed your mind. To a cyclist, however, they know the benefits of getting around on two wheels. Everyone who has ever traveled before has muttered the following phrase: only pack the essentials. Easier said than done when you have a spacious suitcase or all the room in the world in your car. Well, your space is rather limited when traveling by bike. Not only are the necessities a must they are literally all that will fit, so leaving behind those extra “just in case” outfits is not a big dilemma. Only having to rely on your bike, your basics and yourself allows you freedoms that everyday travels can’t provide you. Most of the time we’re so focused on getting from one place to the next we end up missing out on the experiences that pass us by. The rhythmic tunes of native street bands, the sweet smells from local bake shops, scenic back roads, wall murals in hidden alleyways, etc. On a bike, your senses are heightened and able to experience that which would otherwise be blocked off on planes, trains or automobiles. Enjoy the freedom to control which paths to take and when to stop and smell the roses. There’s something to be said about traveling alone. Having the opportunity to be completely selfish with your time is quite liberating; nothing and no one, but you and the world around you. Traveling by bike allows you to be flexible with your schedule, stop when you want to stop, and allow you time alone with your thoughts without disruption. It’s also a great opportunity to get to know yourself better, both physically and mentally. You know how you always plan to hit the hotel gym while traveling, but never actually do? Well, if you travel by bike you won’t have to worry about missing your daily workout. On-top of the necessary miles you’ll put in getting from one place to the next, you’ll be able to push your limits on new terrain. Let’s not forget the fact that cycling promotes positive mental health as well. I don’t know about you, but what could be better than stress-free travel? Don’t knock it before you try it. Traveling by bike may be just the thing that transforms you from a tourist into a traveler. 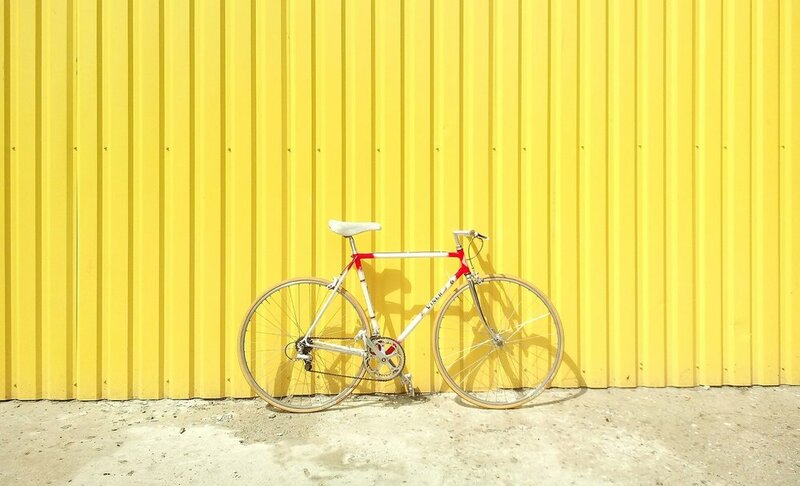 If you have traveled before by bike, share your tips and destinations with us in the comments section below.